Although the hop plant has been known and used for a variety of purposes since ancient times, its use in brewing did not become widespread until the 16th century. Prior to that time, beers were flavored and balanced by the addition of herbs and spices of all kinds. A blend of herbs, known as “gruit,” was commonly used. Gruit was an expensive product for the brewers because both its production and exact makeup were controlled by guilds in Europe. Hops offered a cheaper alternative with the additional benefit of having preservative qualities. In 1516, Duke Wilhelm IV of Bavaria declared that beer could only be made from malted barley or wheat, hops, water, and though not mentioned, presumably yeast. This purity law, known as the Reinheitsgebot, was probably the world’s first consumer protection law and was intended to disallow the use of sugar in brewing, but had the effect of prohibiting the use of herbs and flavorings as well. British and Belgian brewers had no such law and continued to brew with sugar, molasses, and in the case of the Belgians, fruit. Hops, however, continued to gain popularity and the use of herbs and gruits by European brewers faded away by the 1700s. Meanwhile, in Britain, the winter holiday tradition of drinking spiced ales was gaining in popularity. These ales were not necessarily brewed with spices, but had spices and sweeteners added in a punch bowl and were sometimes “mulled” or heated in the mug. 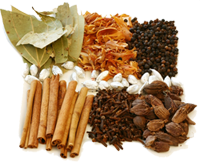 The pungent spices such as nutmeg, allspice, clove, and cinnamon, as well as orange and lemon peel, were the preferred flavors, as they were associated with holiday baking. Coriander, ginger, and juniper were often found in the mix too. This spiced ale became known as “wassail,” after the popular toast “waes heil” or “good health” in Middle English and a very similar expression in the Nordic languages meaning the same thing. 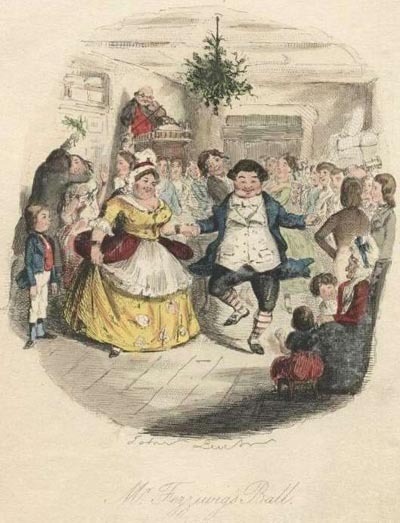 Victorian holiday revelry often associated wassail or spiced ale. Original illustration from Charles Dickens’ A Christmas Carol, 1st ed. 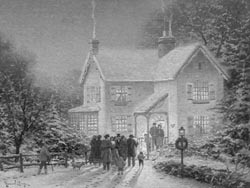 “Wassailing,” or caroling, in Victorian England. Photo courtesy of anoldfashionedchristmas.com. Wassailing as an activity was essentially what we now know as caroling, where groups of friends would go around singing holiday songs to their neighbors in hopes of being treated to a mug of wassail. Cider and wine, similarly spiced and heated, have remained a popular holiday treat into modern times, but by the early 20th century, the ale-based wassail had almost disappeared. Special beers for the holidays were still produced, but they were mostly on the order of strong beers or winter warmers characterized by higher alcohol content rather than spices. American craft brewers stepped in to revive the old tradition, but unlike the product of old, spices and flavorings were added to the beer during the brewing process. Intended to be enjoyed as a cold product rather than a heated one, today’s spiced beers are mostly produced around the winter holidays and still reflect the flavors that are evocative of the season. In 1975, the Anchor Brewing Company produced the first craft brewed Christmas Ale. The tree on the label has changed every year, along with the recipe. As the recipes evolved, so did the style of beer, and in 1987 we produced the first spiced Christmas Ale ever brewed in America. We have continued this tradition ever since, and beer lovers have come to eagerly anticipate our new Christmas Ale every year. The craft brewing industry soon followed suit and today there are spiced holiday ales being brewed all over the country. Originally released in early December, some of these beers are now available in late October and are variously labeled to reflect an entire season rather than just the traditional Thanksgiving through New Year’s Day holiday season. Taking this a step further, it has become common to see pumpkin beers in October, adding a little spice to what had been the time for “Oktoberfest” or “Harvest” beers. 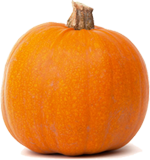 However, since pumpkins themselves really can’t add much to the brew kettle as far as flavor is concerned, it’s the pumpkin pie spices that people identify as pumpkin flavor. There are also examples of herbed and spiced beers becoming available outside of the fall and holiday seasons. Craft brewers are experimenting with styles both old and new to provide ever more interesting flavors. Even the major brewers are getting in on the trend. Belgian style wit beers have a dash of coriander added. Some summer wheat beers are being marketed as having grains of paradise or other exotic sounding spices added for a little zest. On the herb side, heather ale has been resurrected. Bitter orange and lemon peel are finding their way into beers, as are spruce and chili. Hops will always be with us as the major flavoring agent in our beer. There is really no substitute, but a little spice in our brew, especially around the holidays, only adds to the holiday cheer. We hope you’ll join us in raising an Anchor to the holidays, and in celebrating the tradition of spiced holiday beers with an Anchor Christmas Ale.